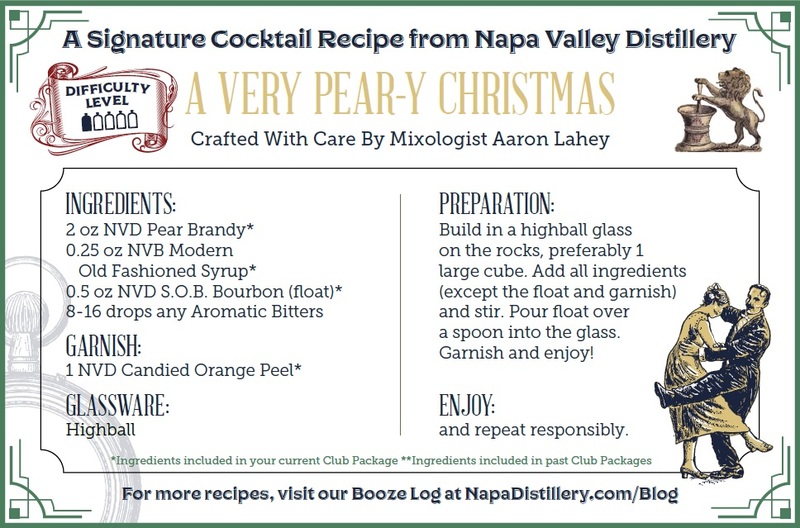 Everybody, meet Paul – Napa Valley Distillery’s Brand & Hospitality Director! Paul grew up in Oakland, California and graduated with a BA in Sociology from University of Oregon. Before joining Napa Valley Distillery, Paul was the Tasting Room Commander at St. George Spirits in Alameda. Paul has always had a passion for spirits and while he thoroughly enjoyed his experience with St. George, he eventually decided it was time for a change. So St. George owner Lance Winters put Paul in contact with fellow California Craft Distiller’s Guild Member and Napa Valley Distillery owner Arthur Hartunian. Paul interviewed with Arthur soon after and the rest is history. Paul was initially hired as a shop hand at the Oxbow with the idea of building the Distillery’s tasting program just as spirits tastings were starting to become legal in California. From there he started the tour program at the Grand Tasting Salon, graduating from shop hand to Grand Tasting Salon Manager to Brand Ambassador to the executive position he holds now. As Brand & Hospitality Director, Paul is head manager overseeing operations, scheduling and training at both locations; he also ensures even levels of hospitality for all guests at either location by conducting tours and tastings. Additionally, he is leading the wholesale branch initiative for Napa Valley Distillery product to hit shelves in restaurants, bars and stores near you in 2019. In the next ten years Paul would love to continue growing the Napa Valley Distillery repertoire and brand, but he would also love to someday start his own distillery. As for NVD’s current repertoire of product, his favorite thing we’ve made is the Old Engine #4, a whiskey made last year from which half of its proceeds were donated to the Napa Fire Department. It was a good cause, and a damn good whiskey that we can only hope to replicate in the future. But as much as he loved the Old Engine #4, Paul would love for the Distillery to produce a rye whiskey. If you couldn’t guess, when Paul goes out his cocktail of choice is a Sazerac; he finds that to be an accurate test of a good bartender. But when he’s in the mood he enjoys a traditional daquiri, as well. Some of his favorite places to eat and drink in the Napa Valley are Cole’s Chophouse, Taqueria Maria and the rooftop bar at Andaz hotel. Say hi if you see Paul out – and come see him for a tour and tasting at the Grand Tasting Salon! Everybody, meet Tim – Napa Valley Distillery’s Production manager and Head Distiller! 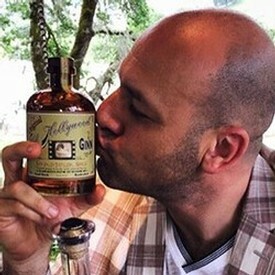 If you currently have any of our spirits or cocktails in your home bar, chances are that Tim is the guy who made it. Tim has been with the company since early 2015, but having been born and raised in Napa where he’s lived for over 30 years now, he’s always been intrigued with the world of alcohol. He first got into alcohol production working under Don Barkley, California’s first craft brewer since Prohibition, eventually becoming a Draft Technician. Tim has also worked on the sales end of the industry as Head of Sales at Carneros Brewery, but ultimately found his passion in production. Tim came in contact with Napa Valley Distillery in May 2015, but was not hired as a Distiller. Initially, Tim was hired to work for one week helping pack Bar Club boxes. He took advantage of the situation to shadow Production Assistant Carlos and bend owner Arthur’s ear about his passion for spirits – and it worked. At the time Arthur didn’t have an opening for a position in production, so Tim was hired at the Oxbow Tasting Room, where he worked in sales. Eventually, in November of 2016 he was hired full-time as Production manager. As Production Manager, Tim oversees all production operations i.e. fermenting, blending, proofing and bottling of products. He also manages the production schedule for his team, consisting of Carlos and Tyler. The three of them are to thank for all Napa Valley Distillery spirits filling your home bars – including Tim’s favorite, the Grand California. Fun fact: it’s the first spirit he made as a Distiller with the company! Of course, he and the production team are also in love with our Old Hollywood Ginns and excited to unveil more varieties in the future. As for Tim’s future with the company, he hopes over the next ten years to help build Napa Valley Distillery into a household name – a goal that doesn’t seem too far off. You might run into Tim the next time you visit our Grand Tasting Salon. Be sure to say hi and ask him any of your burning spirited questions! Everybody, meet Lusine (or, as we all know her, Lulu) – Co-Owner of Napa Valley Distillery and owner of epicurean boutique Napastäk! 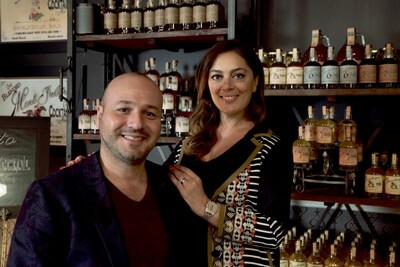 Like her husband and Distillery Co-Owner Arthur, Lulu was born in Armenia. She and her family came to California in 1980. In 1996, she and Arthur met and started a family. She graduated with an Associate of Arts and, coincidentally like Arthur, worked in law for a time before realizing that wasn’t what she wanted to do. Lulu has always had a passion for the culinary arts (especially with three kids to feed!) She has always enjoyed cooking and the experience it can provide for a family or a social setting. Coinciding with Arthur’s passion for spirits, Lulu believes that food plays an equally important role in the dining experience. She recalls watching Ratatouille with her family once, when the inspiration struck her. “What does Napa need?” she thought, and decided what it needed was a lifestyle brand of quality ingredients and kitchenware to enhance the dining experience in the home. Arthur began sketching a logo – a rabbit holding a spoon. They enjoyed the idea of the Distillery and its sister company both having animal logos. The word “Napastäk” came to them, which means “the rabbit” in Armenian and was incidentally their daughter Isabella’s second word (after "papa"). From there, in 2014 Napastäk was born. The shop opened in the Oxbow, taking over the Distillery Tasting Room’s original retail space once it moved. Today, Lulu runs the show at Napastäk and is excited to open its second location soon next to the Archer Hotel on First Street. Napastäk is preparing to release and do tastings of their own wines, a full realization of Lulu’s ideal kitchen experience. In addition to setting the daily game plans for Napastäk, helping attend to Napa Valley Distillery needs and, most importantly, being a mom, Lulu is excited for the future of both companies. 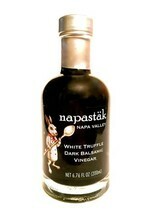 She hopes within ten years to establish a Napastäk food club to compliment the Distillery Bar Club. Some of Lulu’s favorite places to eat and drink in the Napa Valley include Zuzu, Torc and Bouchon. Her cocktail of choice is an old fashioned or a vesper, but she loves gin, as well. 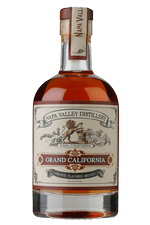 In fact, one of her favorite Napa Valley Distillery items is the Summer Sequel Ginn! Come see Lulu and the Napastäk team at the Oxbow and at the new First Street location, opening very soon! 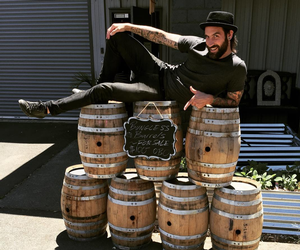 Everybody, meet Jake – one of Napa Valley Distillery’s newest Tasting Experts at the Oxbow! Jake was born in Fremont but grew up and still lives in Napa. He graduated from Napa High and went on to study Psychology at Stanislaus State. Jake has been familiar with the Oxbow Public Market and all those who inhabit it since long before he worked there. His brother Adam worked for Fieldwork Brewing Co. and through him Jake befriended many an Oxbow employee, including some at Napa Valley Distillery! His eventual joining of the team was a natural progression. 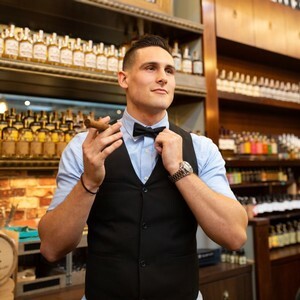 Jake was hired as a production assistant in February of 2018 and moved to the Oxbow Tasting Salon in March. He is now a part of the senior staff of the Oxbow retail team. As a part of the team, Jake takes guests and Bar Club Members through spirits tastings and helps them assemble the perfect ingredients for their cocktails at home. He may even be the one to sign you up for our Bar Club! But Jake is not picky with what he likes to drink. When he’s out, he orders a bourbon old fashioned. When he’s in, he likes to pop open one of Napa Valley Distillery’s batched Mai Tai cocktails. What you’ll never see Jake request, however, is a vodka shot. Jake’s favorite food is Mexican and one of his favorite eats in Napa is Andy’s Café. His 10-year plan (that he actually considers more of a 5-year plan) is to save enough money to buy a house and start a family. Come see Jake at the Oxbow Tasting Room for a flight! Everybody, meet Ryan – our Bar Club Concierge! 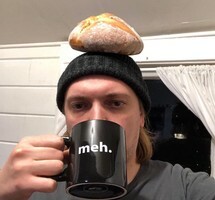 Ryan was born and raised in the Bay Area, specifically Oakland and Vallejo. Ryan studied at Solano Community College and Napa Valley College. Fun fact: he was a certified EMT! Regardless of where Ryan has worked, be it in restaurants or wineries, he has always had a dedication to the field of hospitality. All of these experiences have helped hone his hospitality skills in preparation for his current position at Napa Valley Distillery – where he has been for over a year! Before Ryan joined our staff, he was actually a Bar Club member for almost three years. His appreciation for our Distillery’s products were part of the reason he was so inspired to become a part of the team behind them. 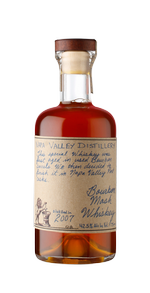 Ryan’s favorite spirits Napa Valley Distillery makes are the Summer Sequel Ginn, the 2007 Bourbon Mash Whiskey, and our Crème de Violette. In the future, he would love for NVD to release a kombucha and more gins! Ryan’s favorite places to eat and drink in Napa are Ca’momi and Cadet. As for his cocktail of choice, it’s simple; he says ideally it has three ingredients – one of which being ice. When he goes out he prefers a gin and tonic. As for what he likes to eat, he loves his plate to be colorful and rich with heirloom veggies. This is a nod to his passion of gardening – he includes the idea of a fantastic garden in his 10-year plan of building a house on a plot of land he owns. Come do a tour and tasting with Ryan at the Grand Tasting Salon! Everyone, meet Theodore – Napa Valley Distillery’s Grand Tasting Salon Tour Director! His cousins-in-law were bar Club Members and brought him to a tasting one night at the Distillery. The tasting made Theodore fall in love with our spirits (especially our Old Hollywood Ginn, which he still considers his favorite to this day!). Theodore was working as a bartender at the time and had a lot of questions. His cousin made a joke that he looked like the guys behind our bar and that maybe he should work there. Theodore jokingly asked if they were hiring – and the answer was yes. The next day he dropped off his resume, was interviewed on the spot and the rest is history. As Tour Director, Theodore leads tours and tastings at our Distillery’s main location, facilitates our guests’ experiences and is one of the chief trainers for all new employees. In the years to come, Theodore would like to have a small hand in the manufacturing of our spirits. He would love to see the Distillery produce a bottled Sazerac sometime soon. Theodore is currently a licensed Certified Specialist of Spirits, as awarded by the Society of Wine Educators. This basically makes him the guy to ask for knowledge of any and all things booze. He hopes within the next 5 years to become a Certified Spirits Educator to take his expertise to the next level. 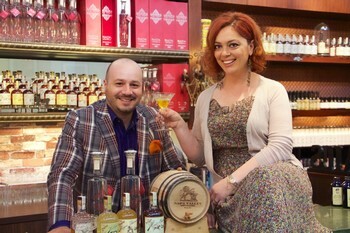 He would also like to continue adding his own flavor to our tour program at the Grand Tasting Salon. When Theodore goes out, he enjoys a French 75 or a Rum Fashioned (even though he once was served one with 1/8 cup of sugar by mistake). One of his favorite spots in Napa is Tannery Bend Beerworks, where they have a beer that’s been aged in our Brandy Cordial barrels! Come do a tour and tasting with Theodore sometime!